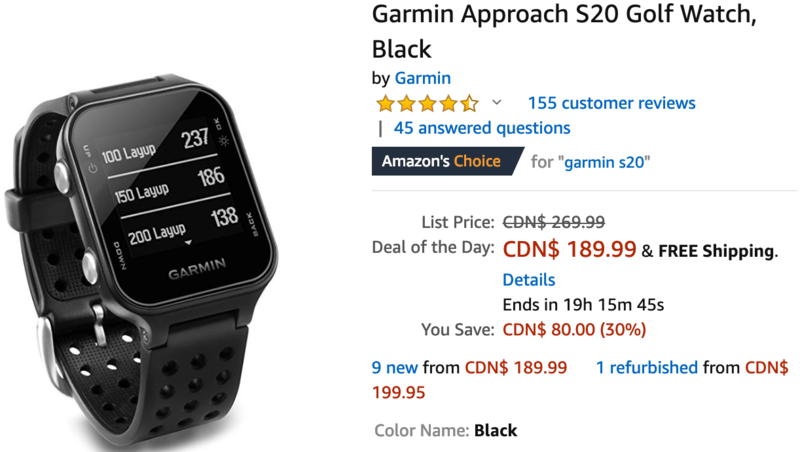 Get Garmin Approach S20 Golf Watch, today for $189.99, list price $369.99, save $80.00 – 30% off. Available in 4 different colors. Get Quartet Infinity Frosted Glass Dry Erase Board, Non-Magnetic, 1 Marker included, 4 X 6-Feet, today for $365.00, list price $476.79, save $111.79 – 23% off.